Our personal digital medication monitoring system will help patients manage their chronic respiratory conditions, track their medication usage, provide reminders to help ensure doses are not missed, and help them to enjoy a life with fewer symptoms. The Hailie™ solution is an ecosystem of devices and apps that help patients and health specialists manage respiratory conditions and medications. 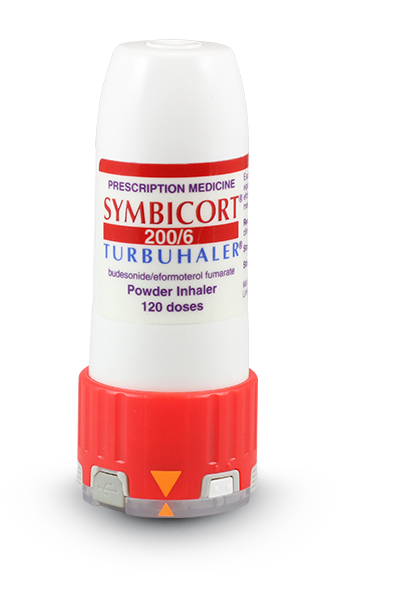 The Bluetooth® wireless technology-enabled Hailie™ medication sensors wrap around patients existing inhalers and automatically sends usage data to their smartphone. Using the Hailie™ mobile app enables the patient and health care professionals to track medication adherence, set daily reminders, and discover insights into their medication usage. The Hailie™ mobile app enables real-time reporting, monitoring, storing and analysis of inhaler use. It is a companion application for use with one or more Hailie™ sensors that fit on your existing inhaler. 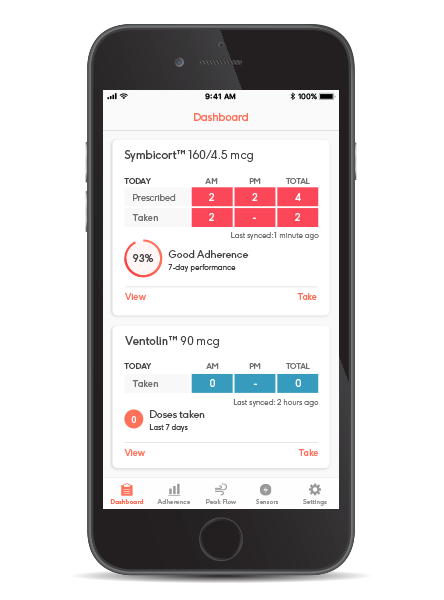 The Hailie™ mobile app provides a view of medication usage patterns, and the ability to set audio visual reminders on your Hailie™ sensor to help ensure no doses are missed. Hailie™ is the world’s most clinically proven asthma and COPD medication adherence solution. The Adherium team has a successful track record in digital health solution development, as well as in performing contract development for companies seeking to apply the principles of real time monitoring and remote patient management. Contact us if you would like to discuss a development project. Use of the Hailie™ solution (previously known as SmartinhalerTM platform) improved adherence to preventative medication by 180% and reduced use of reliever medication by 45% in a study of 220 children who were monitored over a 6 month period. Chan concluded the use of an audio-visual reminder inhaler can lead to significant improvements in medication adherence and asthma control in school-aged children with asthma. Chan et al. Lancet Respir Med. 2015;3:210-219.